Motherhood is full of contradictions, sometimes I crave a peace and quiet, but then miss the noise and bustle when everyone is out. I always look forward to school and nursery pick up. Seeing S’s little face peeping out through her classroom door never fails to make me smile. I’ve been looking forward to half term for weeks and then today it’s been bicker, bicker, bicker all day long. 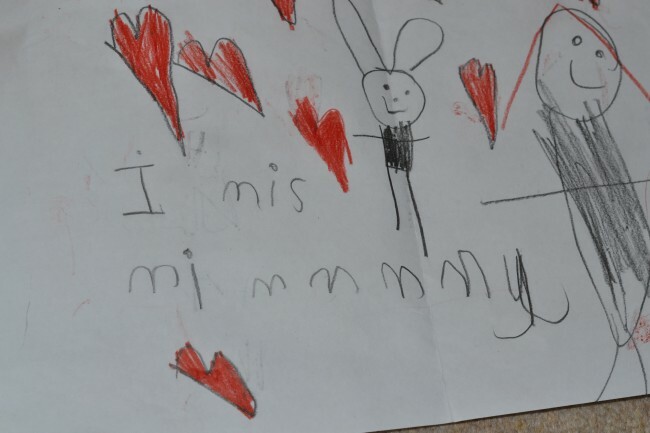 This drawing made by S at school last week, made my heart break and smile all at the same time. Awww there’s no-one quite like your mom. Great picture too. Mammasaurus recently posted..41. How Does Your Garden Grow? How lovely! I really enjoy E’s little messages now he’s writing. Awwww what a very very sweet picture. I can see why it broke your heart and made it swell at the same time. Aww I am so feeling this right now. One of my twins is away with grandma for a week and I miss him so much! That picture is adorable. Know what you mean about half term though! oh how sweet! 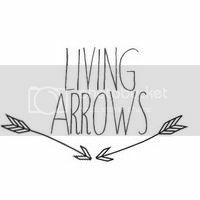 i love living arrows posts and i need to join in soon! Anya from Older Single Mum and The Healer recently posted..Better Photos for the Clearly Clueless.